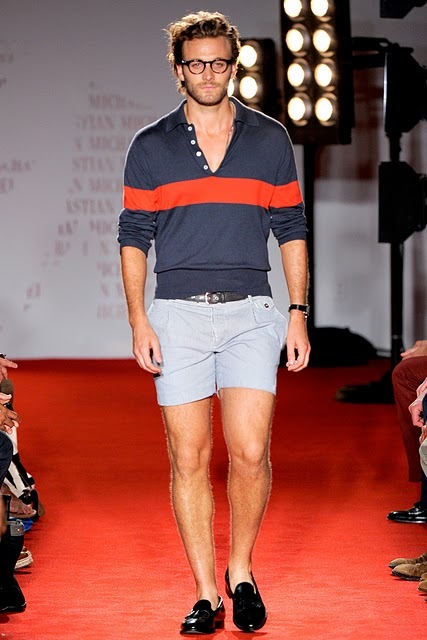 Michael Bastian’s exceptional work with GANT over the past few seasons has absolutely been irrefutable. If you’ve been reading Bastian’s blog — which you should be — you’ve likely picked up some of his inspirations for his collections this year. For his s/s ’12 collection with GANT, Bastian drew inspiration from the colourful Hawaiian islands. The playfulness of the collection teeters the fine line between being wearable and being kitschy. The colour schemes sort of remind me of last year’s Tommy Hilfiger TOMMY collection. Both collections embody that carefree, laid-back summer vibe through their whimsical colour palettes and relaxed details. This entry was posted in Blazers, Collections, Dress Shirts, Feature, Knitwear, Outerwear, Pants/Bottoms, Sportcoats, Tops and tagged GANT by Michael Bastian. Bookmark the permalink.